Prime Attachments & Custom Fab is an up and coming leader in manufacturing implement attachments out of Garfield, MN. 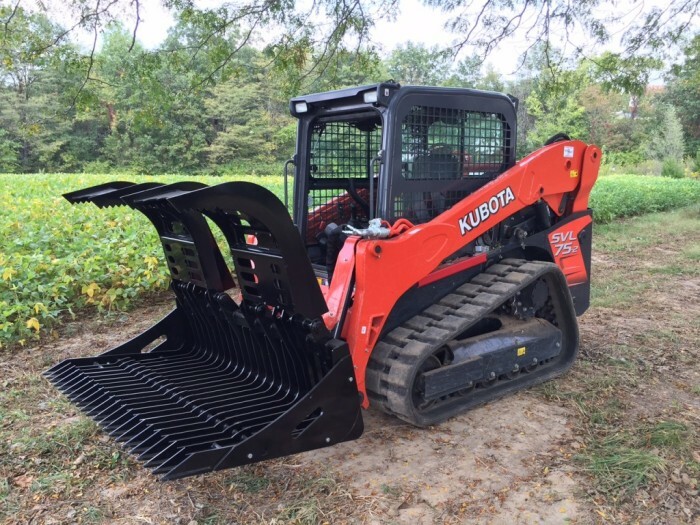 Kody Thompson & Jeff Roquette started Prime Attachments with the ultimate objective of taking over the attachment market and dominating the concept of quality commercial grade attachments. Every attachment we produce is professionally engineered, not just drafted. With over 30 years of experience in professional engineering and Finite Element Modeling with ANSYS, we have what it takes to go the extra mile for our customers! In doing this we focus tremendously on creating high-quality American jobs and creating an environment that has our employees taking ownership of the quality of the products they make. Our philosophy is simple, we will make it better than our competitors and sell it to you for an absolutely fair price to keep you coming back for your attachment needs over and over again. Our customer service is also simple, Kody and Jeff do it all. If you buy from us and you need help, you talk to an owner and we take care of you, no excuses, no middle men. Our award winning welding at multiple trade shows across the Midwest stands on its own. Absolutely ZERO robotic welds that more times than not miss and crack. Any attachment purchased from Prime Attachments & Custom Fab comes with a 1-year manufacture warranty on all of our welding. If you crack a weld, we want to be the first on the planet to know about it because it is unacceptable. We stand behind every single one of attachments!